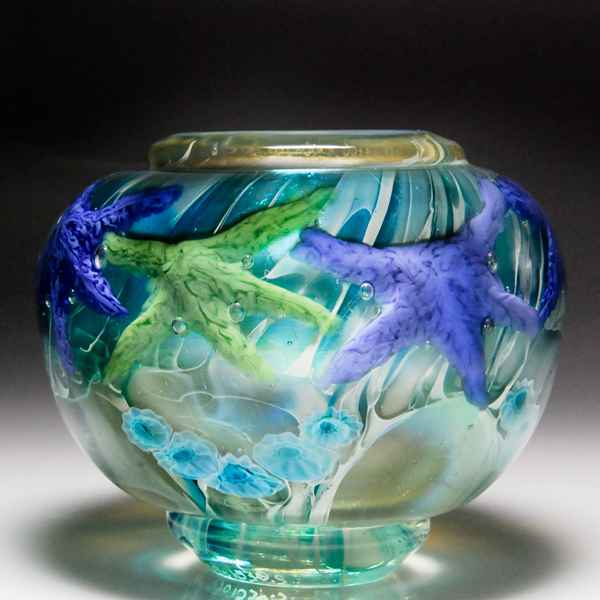 Lundberg Studios 2006 starfish vase, by Daniel Salazar. Blue and green starfish form a garland around the neck of a swirling blue and green vase, with the occasional barnacle. Signed/dated. Diameter 4 1/2".